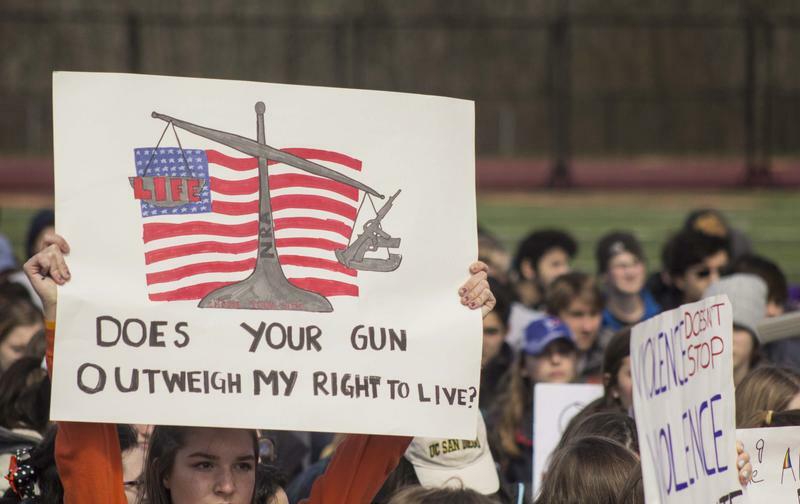 Students rally against gun violence near Smith and Wesson in Springfield, Massachusetts, on March 14, 2018. A small delegation returns from Smith and Wesson in Springfield, Massachusetts, after delivering a letter to the guard house requesting a meeting with company officials on March 14, 2018. Chinaly Chanvong of Teens for Action Springfield. Teens for Action Springfield, a student-run, anti-violence group, is participating in the march. The group formed shortly after the Parkland, Florida, high school shooting in March. They've since have held marches and rallies in Springfield. 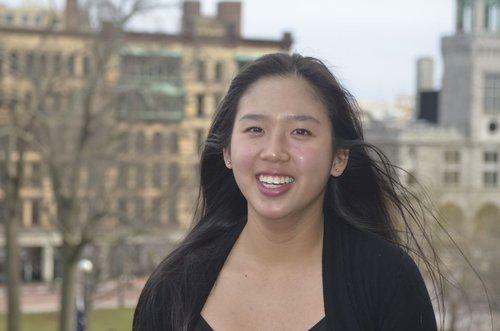 Chinaly Chanvong, a Teens for Action co-founder, said the group is finding allies. “When we heard of the opportunities to partner up with March for Our Lives Boston, Stop Handgun Violence and 50 Miles More, we thought this was another push in the right direction that would really keep the momentum going,” she said. Massachusetts students! Dust off your shoes and get ready to march #50more. Visit https://t.co/UpHLTSIBJb to get all the information on how to register. You won’t want to miss this amazing opportunity to fight for gun reform. Chanvong said the march is a chance to send a message to Smith & Wesson. In March this year, protesters called on the gun manufacturer to meet with youth organizers, and asked the company to discontinue sales of the rifle used in the Parkland shooting. The group left a letter at the company's security desk. Chanvong noted that David Hogg, a Parkland shooting survivor, will attend the march. 50 Miles More started with marches in Wisconsin, and later spread to Massachusetts. “There are marches being planned in other states right now as we speak,” said Felix Brody of 50 Miles More. The Massachusetts march ends with a closing rally in Springfield on August 26. An anti-gun mural in Springfield, Massachusetts, painted by the father of one of the students killed in the Parkland, Florida, shooting, has been vandalized.